I've been lurking here for about a month or so when the inexplicable bug to get an obscure 4WD bit me. Not my first rodeo, I have a bit of a Land Cruiser 60 series "problem". Cosmetically, at the moment the biggest letdown is the rear hatch, peeling clearcoat and some rust bubbles along the window edge. At least 1 of those 2 issues should be easily remedied. I'm also on the lookout for a set of MR2 3 spoke wheels. In terms of rust, there are some small bubbles on the left rear wheelarch and on the inside bottom of all doors. Nothing major yet, but worth sanding down, treating with rust converter followed by some paint. 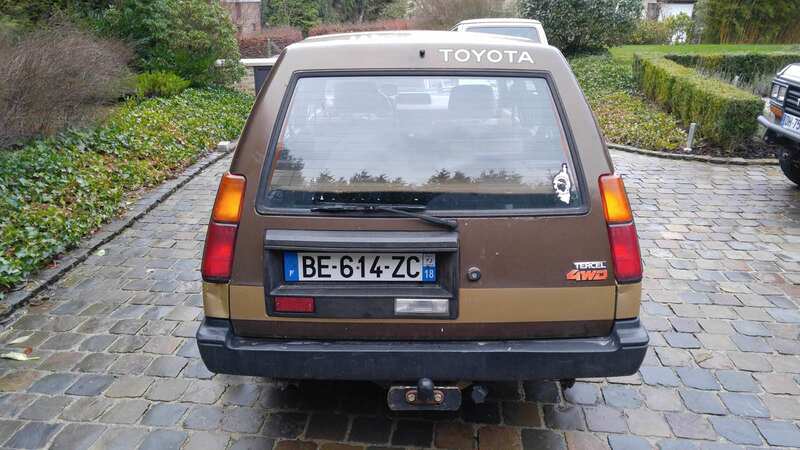 -Front axle shafts are shot (loud ticking noise when turning under load), the Toyota EPC number didn't turn up much here in Europe, which is a bit unusual in my experience, are these worth getting? 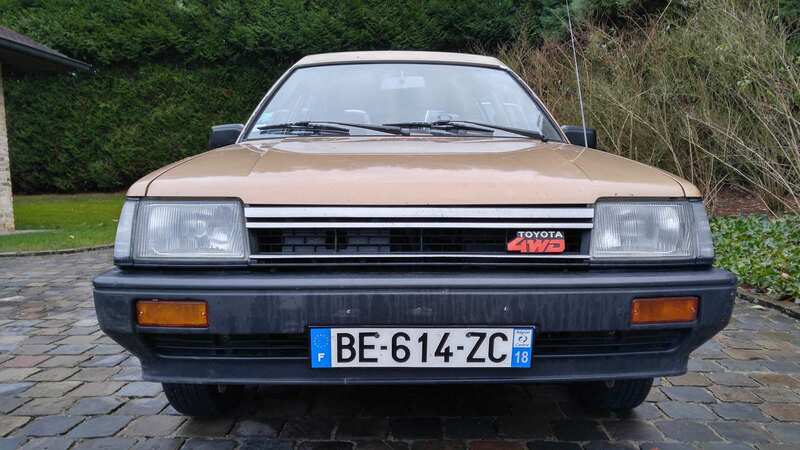 Not familiar with US brands: https://www.ebay.com/itm/Toyota-Tercel- ... 2115555357. Should I go ahead and replace the seals in the axle housing as well? Any other bits that might need doing while I'm tearing into the front suspension? Anti-roll bar bushes from what I've seen here? Bearings perhaps? - Heater: cold/hot slider is properly stuck, anything mechanical that can go wrong with these other than the heater valve in the engine bay and the bowden cable that might need lubing? - Difficult cold start: I take it the automatic choke isn't working properly? Should I just throw a rebuild kit at the carb and replace all vacuum hoses while I'm in there and call it good or shouldn't I bother and just get a Weber? In terms of general maintenance, I plan on replacing the timing belt (non-interference engine if I'm not mistaken? ), adjust valves and change all fluids. Any recommendations for engine oil (mineral? weight?) and gearbox/diff oil? - possibly some door handles and a few other small bits of trim that haven't developed a whitish sheen from UV exposure. 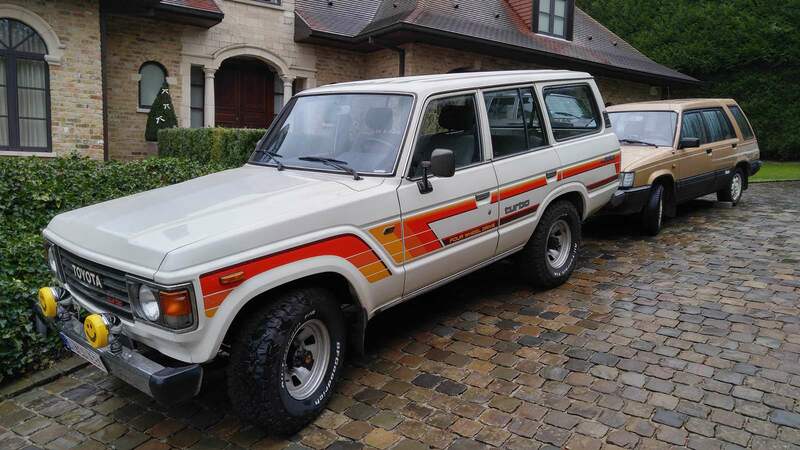 Anyway, it's something different from my diesel 60s, that's for sure, but at first glance this should be a fun little daily driver, excited to get it registered and spend way too much time pouring through the threads on this forum. Last edited by FRQ on Mon Jan 01, 2018 5:25 pm, edited 1 time in total. That is an awesome find, wish we could find ones in that kind of condition here. 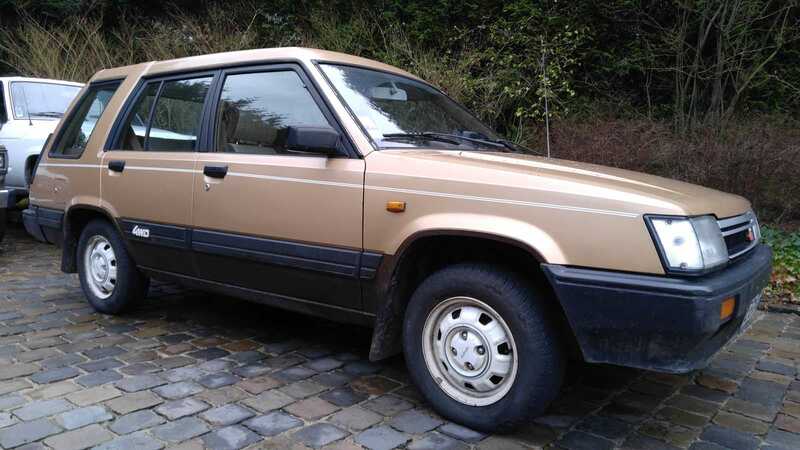 Amazing you found it, I spent most of August driving all over Greece and did not see a single Tercel4wd (lots of other interesting cars, many older ones too, but no Tercel4wd, none of my relatives thought I could find any either). I addressed your inquiry into the CV axle in your other post, best I think to try and rebuild the ones you have rather than pay such a high price for imported parts. Lubricate all the parts in the heater controls, and carefully work it free. Use silicone spray lube on the plastic parts and cables. It is a simple system, you should be able to get it to work properly if nothing is broken, so do not force anything. the plastic gets brittle as it ages, go easy. once it is lubed and worked free it should slide easily. Lots of things can cause a difficult cold start. check for choke operation, but also check and double check for vacuum leaks anywhere in the vac system, intake manifold, carb and manifold gasket areas. Also, a weak spark could make for difficult starting. A crack in the coil housing lets moisture in and on cold damp mornings very difficult to start. Once it is started, the repeated cycling of the coil warms it up and drives the moisture out. 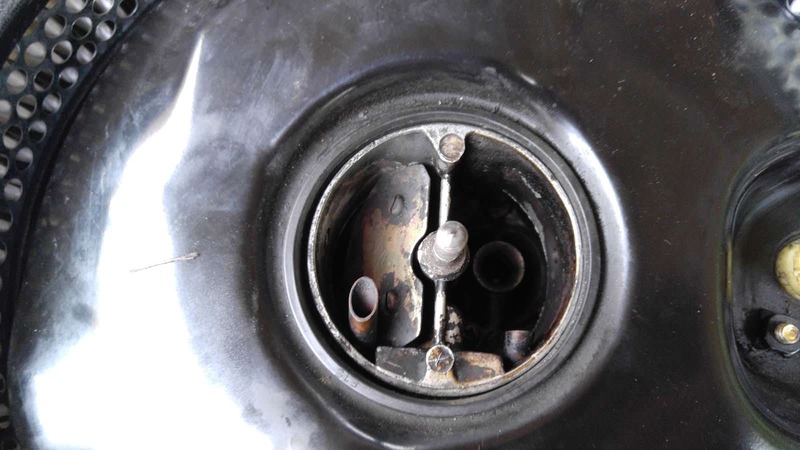 Do not replace the carb unless you know it is causing the problem. These carbs are very reliable and last a long time, it may need a clean up, or a rebuild, when working properly have very good throttle responce and operate well over large temperature range, from below freezing to a very hot summer days. It is also much cheaper to rebuild it than replace it. 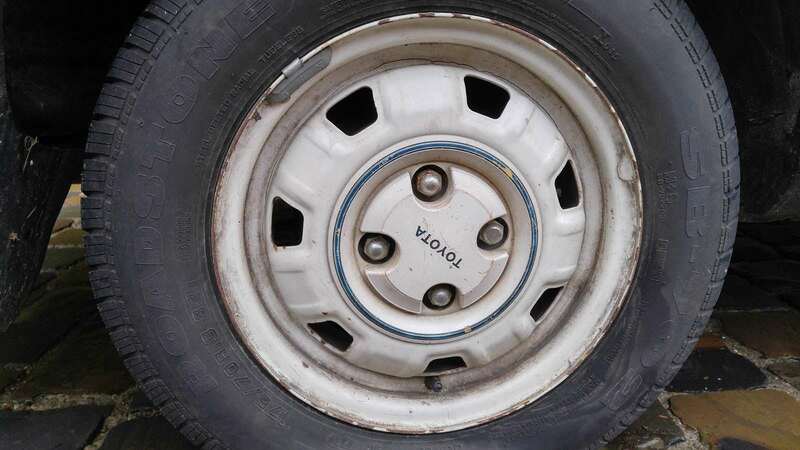 Can not help you with tires in Europe, going to 14" alloy wheels should improve the handling. I drive steep gravel roads daily, and use the 4wd everyday, but 90 plus percent of my driving is on paved roads, so I buy tires accordingly. Do you live in France? If not, where? These are exceedingly rare in Europe, as you said. 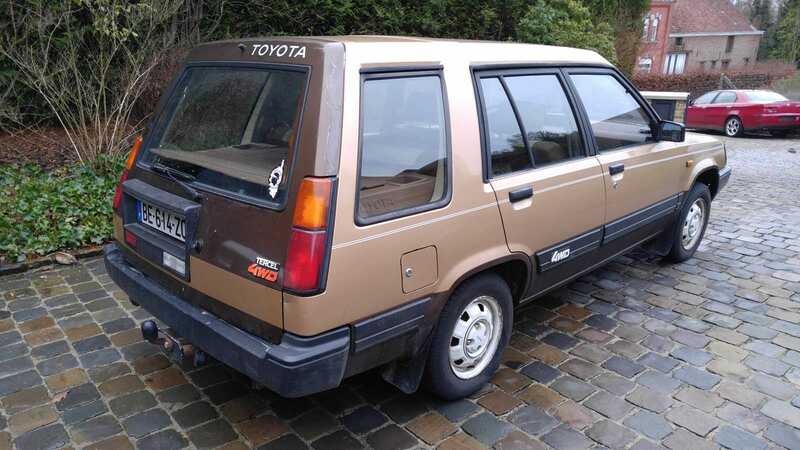 Never spotted one in the wild despite having a thing for obscure eighties Toyotas. I've found the answer to a lot of my questions browsing threads here. Heater controls are shot and I will be preemptively replacing all vacuum tubing anyway, seems like 95% of the weird running issues with these engines can be resolved by replacing 5€ worth of hose, so it seems silly not to. We'll see where that gets me and take it from there, I have the FSM waiting to be printed. 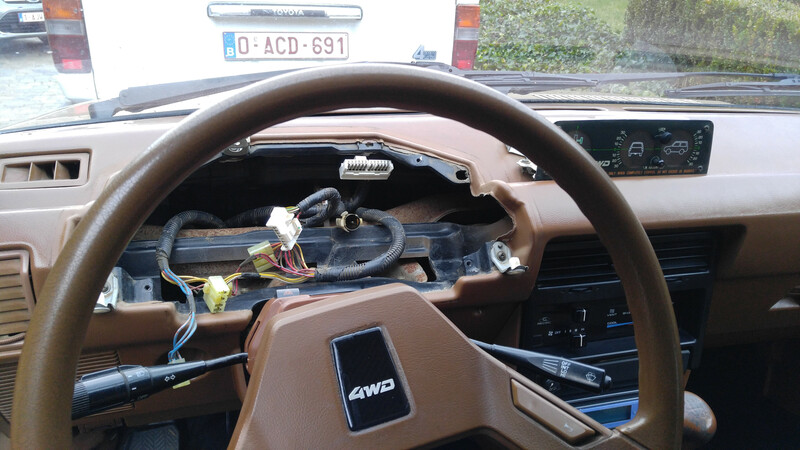 I bought the car in the very center of France, but live in Belgium. No flights to where I needed to be, took 4 trains and drove it back 600km. 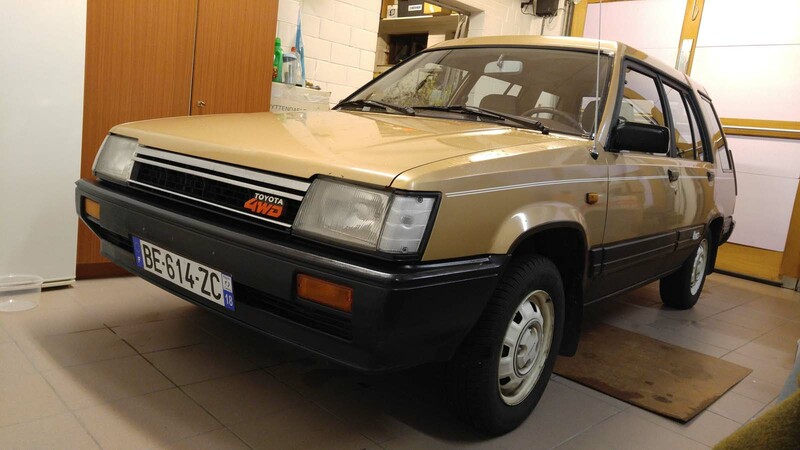 It's not a perfect car, but it's one of 3 titled cars I've seen for sale in the past 6 months or so within Europe, along with a couple of parts cars. I bought it from a retired gentleman who stored it at his hunting cabin and used it as a runaround (1000km a year). 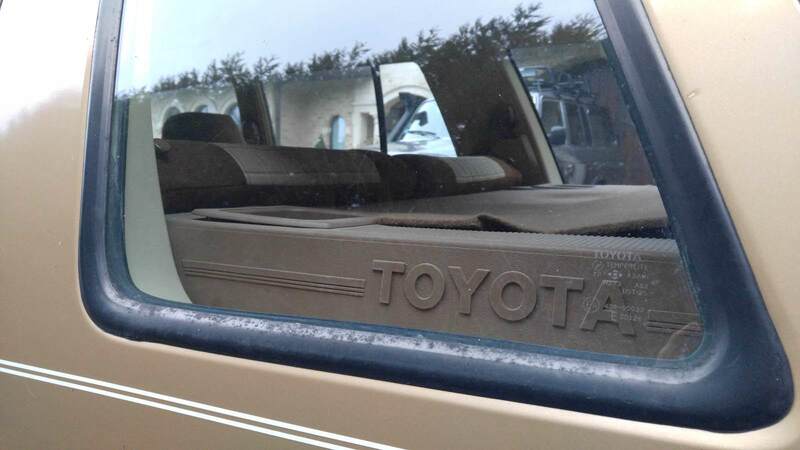 He bought it from his Toyota mechanic, who was crazy enough to restore it somewhere in the late nineties (complete repaint, new OEM seat covers, sheet metal and decals, you could still get all that stuff back then). Even came with a full history and two spare tins of brown and gold metallic paint. EDIT: spent a good 10 hours tinkering, cleaned up the engine bay and interior, so far still pleased with the car! Love those euro bumpers, what do the gauges look like? Do they follow the JDM or American design? For cold starts, push the throttle to the floor twice, this engages the choke. 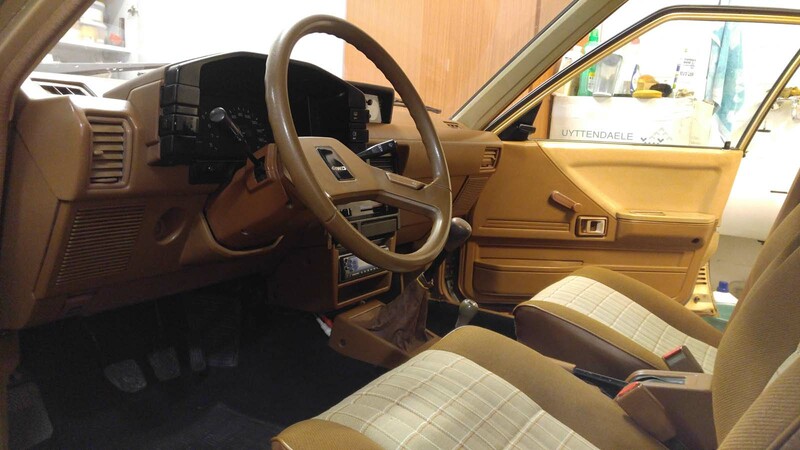 @Mad_Marx: I believe American SR5 design: water temp vertical gauge/tach/speedo/fuel level vertical gauge. 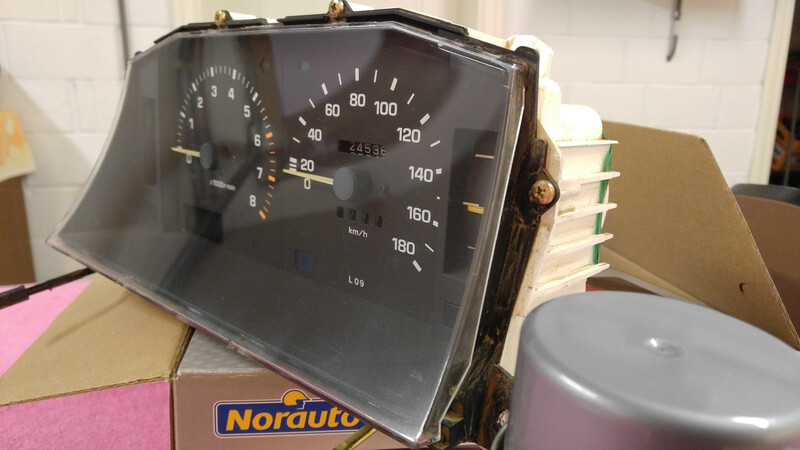 Please don't tell me the JDM Sprinter Carib came with a digital dash, because if that's the case, I'm going to have to... do stuff. @irowiki: doesn't help. Tried sprinkling some fuel down the carb first and she'll fire right away, only to die just as quickly (no high idle). I'm going to start by replacing all vacuum lines before diagnosiing any further. make sure you double check the vac tube routing while you are replacing them, use the correct vac diagram for your model. do not assume who ever worked on it last got them back in the correct places, even mechanics make mistakes with them. that may be the cause of your issues, you do not know unless you check. easy to do if you are replacing the hoses anyway. take one off at a time, and compare each line, and where it goes, with the one on the vac diagram. also, remember to check all of the vacuum operated devices for vac leaks. As they age the plastic parts get brittle and could get cracked and develop a leak that is difficult to find. check the gasket mating surface in the intake manifold, under the carb, etc. which can also be a source of vac leak. 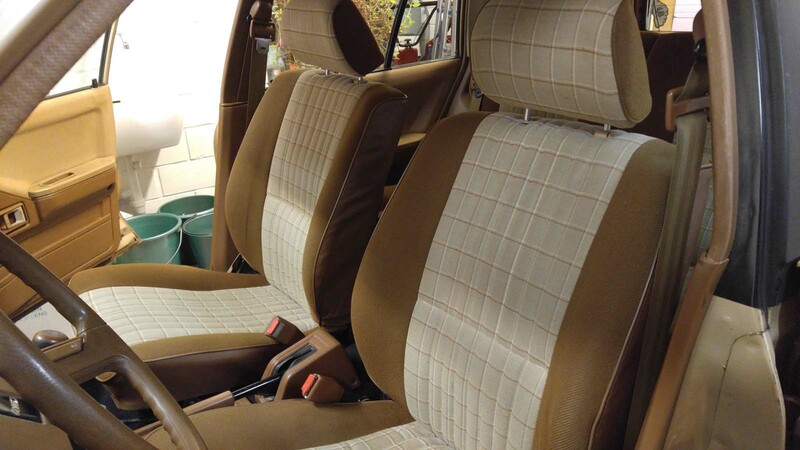 @Petros: had a quick look today, my '84 EU model is thankfully missing a whole bunch of EGR/altitude compensation/god knows what else stuff. On the downside, I'm probably going to have to source a EU spec 3A engine manual somewhere to be sure everything is bone stock. Had my first proper, dry weather drive on the little country roads around here, I'm pleasantly surprised! I bought this as a sort of cool eighties novelty that fits nicely with my Land Cruisers, but turns out it's a fun handling little car. I've read over and over that the 3A is completely gutless, but I have to say, it didn't do too bad at all on little backroads. Could it be the EU spec 3A differs from the US spec one with all the EGR/emissions stuff? Compression or cam, maybe different timing from factory? 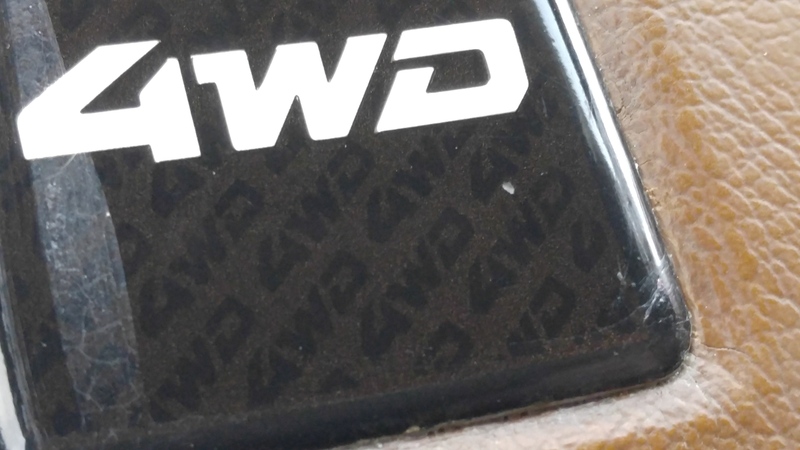 Noticed a cool little detail while removing it that escaped me before, the steering wheel logo has some sort of hologram in it. the Euro spec 3a has more power, though it is still not exactly a race car. At lower speeds these small under powered engines do not feel so bad because it has fairly high torque, so accelerating from a stop, or from low to intermediate speeds makes it feel reasonably powerful. where the lack of power becomes noticeable is when at higher speeds (100 kph and above), accelerating to pass, or to climb a long high speed hill, it will be pretty gut less. the pic of your engine bay reveals it has a lot less crap, lines, devices, etc. So you have less stuff to worry about to keep it running. Likely you can use the North American vac diagrams for the systems you do have, which are probably the same. You just are missing some of the systems. OTOH, you have a lot less chance you have missrouted vac lines since you do not have nearly as many. I have a bunch of 3mm, 5mm and 10mm silicone vacuum tubing on the way, once it gets here I'll start properly diagnosing. Another bit of good news: turns out the engine and drivetrain don't have 152000 miles on them but 67000 miles. Just received the entire history of the car via mail (seller called me a few days after buying it that he found the paperwork). 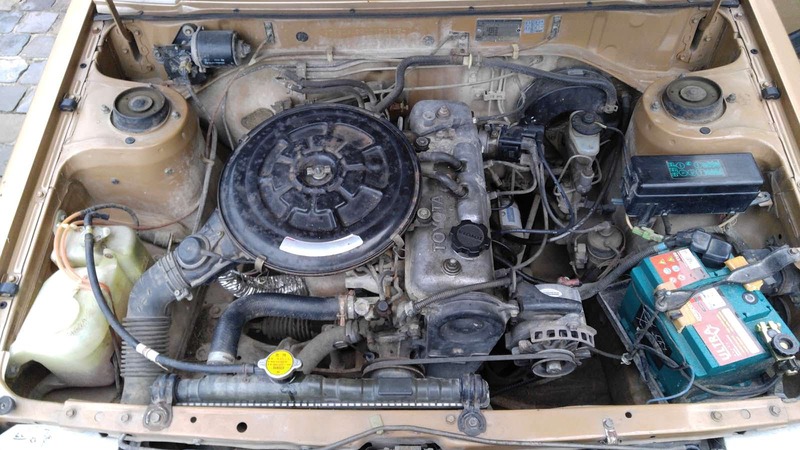 The Toyota mechanic bought it with a cracked piston and swapped in the running gear from a donor vehicle which had 42000 miles on it at the time, valve stem seals were replaced before the new engine was installed. that makes a good find, even BETTER! 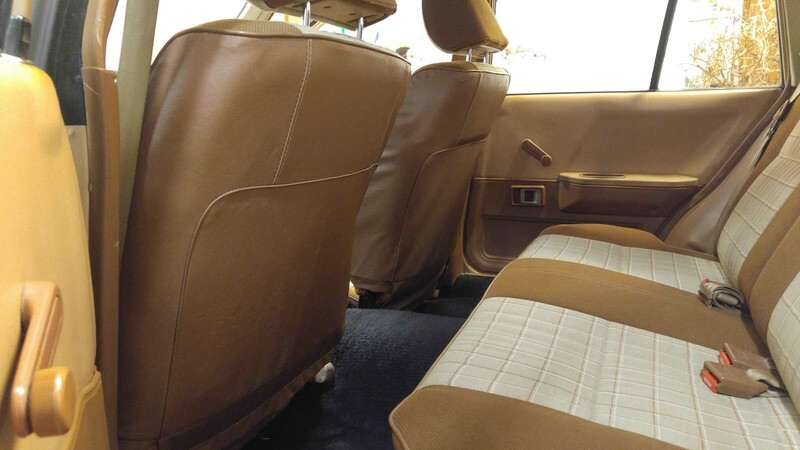 in the pics, the car cleaned up very nice. looks almost show room new. @garyfish: stock euro headlights, as far as I know, never seen any other kind. With regards to the starting issues, I seem to have worked out the magic formula for now: 3 pumps of the throttle, keep pedal 1/3 pressed, crank and she'll fire right up, but will die if you let off the throttle (manually keeping it above 1000rpm for 60 seconds or so). Before I break out the FSM, I was hoping some of you "been there done that" members here might be able to tell me a bit more based on these two images. Any insights based on the pics? Either way, it is looking a bit sooty in there, maybe preemptively rebuilding isn't such a bad idea, even if the fault lies outside of the carb itself? Preliminary "don't know anything about this carb" conclusion: 12V opening system's good, busted/missing spring in the linkage somewhere? That is normal it is never supposed to be fully closed or the engine would die. There's a vacuum operated choke breaker (that holds it open like you pictured) and a choke opener (that opens it when engine is hot) that both work together to modulate the choke. Sounds like your fast idle is busted which is why you need to fast idle it yourself. I hadn't got to that section of the FSM yet, but with regards to the choke, I figured pumping the pedal with the engine off should at least move it in the closed position, which didn't happen. I'll have a look at the fast idle section in the FSM. These "modern" carbs are alien to me I have to admit, I've always had sixties carbs or eighties and up electronic fuel injection in my cars. What controls fast idle on these Aisan carbs? The choke opener section makes brief mention of a fast idle cam. 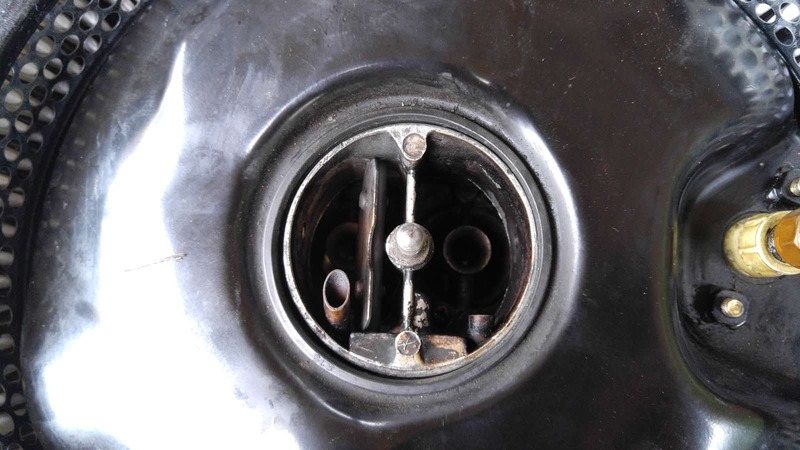 I also see some sort of vacuum operated "buffering" linkage on the front of the carb that seems to be set up to smoothen rpm transitions when letting of the throttle quickly or is that strictly an emissions thing?